David Joseph Schlueter left our world on April 6, 2017 after a valiant battle with brain cancer. David was born to John and Patricia (Hogan) Schlueter on May 7, 1958. He was the fourth of seven children and attended Sacred Heart and then St. Anthony schools in Dubuque. Growing up he was called “Bluie” because of his large, blue eyes, and designated “PickleButt” by his Uncle Bernie. Later in life, he sported a tattoo bearing both names. David graduated from Wahlert High School in 1976 and attended Wartburg College in Waverly, Iowa on a wrestling scholarship. While there he wrestled at 112 and 119 and represented Wartburg College with distinction both on and off the mat. After graduating with his Bachelor of Arts degree in 1980, he moved to Iowa City and attended the University of Iowa, College of Pharmacy. He graduated with his degree in pharmacy in 1983. It was while he attended the University of Iowa that he was introduced to the sport of rugby, and he remained a passionate champion of the sport for the rest of his life. David was instrumental in recruiting players and organizing the Dubuque Dogs Rugby Team, which was later changed to The Gentleman of Dubuque Rugby Club. He served as president for many years, and even when he no longer played, you could still find him on the pitch, in his kilt, helping out as a touch judge at most of the matches. He remained an avid rugby fan to the end, making lifelong friendships with men and women of all ages who either already shared or caught the fever for the sport from him. David worked as a pharmacist in Dubuque for his entire professional career. He only stopped when he felt his cancer prevented him from being able to properly care for his patients. Not being able to work with the co-workers, whom he had come to know as truly, wonderful friends, was counted by David as one of his greatest losses. David was extremely active throughout his unfairly short life, packing more adventure and action into his 58 years than many of us could ever hope to achieve. He rarely said no to an opportunity or an adventure. He enjoyed numerous snow skiing trips and rugby trips with friends, sky-diving, walking his dogs, wake-boarding on the Mississippi with his brother Jack, swimming regularly, weight-lifting, bicycling, visiting his siblings, and traveling the world, including trips to Ireland, South Africa, Italy, and Qatar. David excelled in many things, not the least of which was making friends and making people laugh. He liked being out with friends and family, sharing jokes, and simply enjoying life. His passing creates a void that no ordinary human being could ever hope to fill. David was a short man with a large presence, and he will be greatly missed by numbers far too large to ever count. 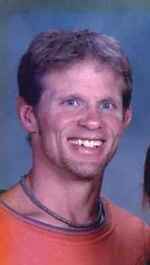 He was preceded in death by his parents and by his beloved daughter, Lauren Ann Schlueter. He leaves behind his two brothers Jack (Sharon Meloy) Schlueter and Richard (Lisa Mescher) Schlueter, his four sisters Jean (Hiram Melendez) Schlueter, Jane (William Flanagan) Hogan, Constance (Richard Nesseler) Schlueter, and Kathleen (Steven Dierks) Schlueter, and nine nieces and nephews: Zachary, Connor, and Haley Dierks, Emily, Calvin, and Peyton Schleuter, Rich, Robert, and James Nesseler, and Justina Flanagan Hafley. In honor of David’s wishes, there will be no memorial service. Please do not make any monetary donations to the family. If you wish to make a donation in honor of David’s memory, his preference would be that you donate to the Lauren Schlueter Memorial Fund online at youcaring.com. The family would like to thank Home Instead, Hospice, and the staff at Stonehill Care Center for their kind and competent care of our brother. Special thanks also to the many close friends who helped our brother in many ways, by watching his animals for him, by driving him places when he could no longer drive himself, and by visiting him constantly to share a laugh and companionship. Your love is real. I’ll love you in my heart. And be safe for evermore. To send flowers to the family of David J Schlueter, please visit our Heartfelt Sympathies Store.